The back guest room is positioned at the back of the house and has its own entrance. 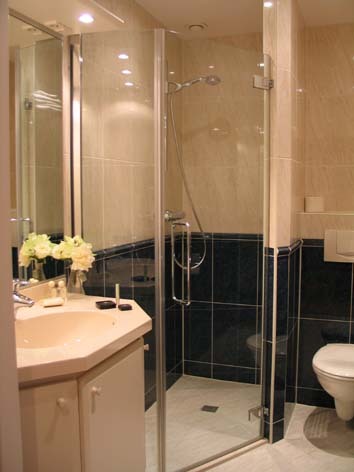 The layout of the room is: hallway, bathroom, room. 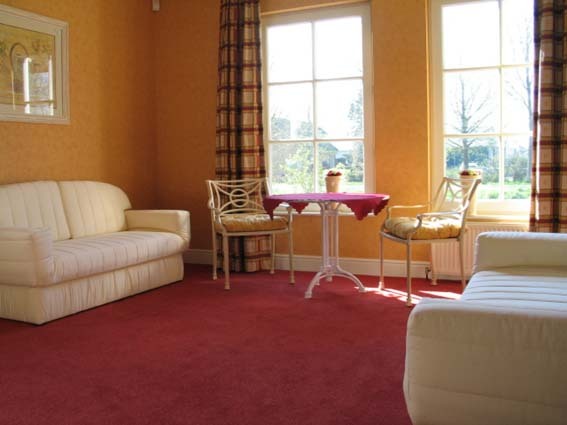 This room is decorated in soft yellows and cream whites with big windows overlooking the fields. 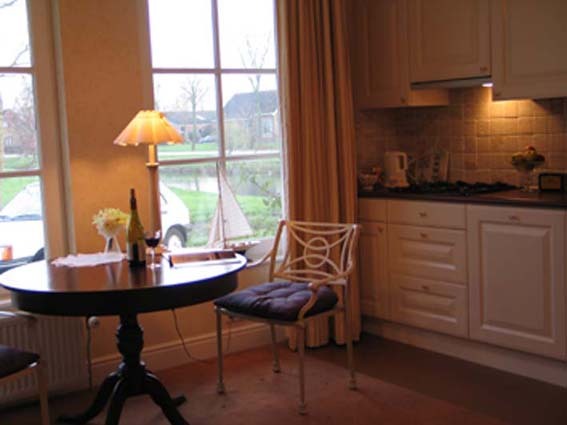 The beds and the table with chairs are the same as Guestroom 1.